A young girl named Brooke becomes a bird with the help of a magical necklace her dad left behind before deploying with the Army. When the necklace is stolen by a conniving raven, Brooke must battle his pigeon minions and enlist the help of a friendly mouse and some not-so-friendly rats to take back her necklace and return home, in the process learning that love and family are forever. 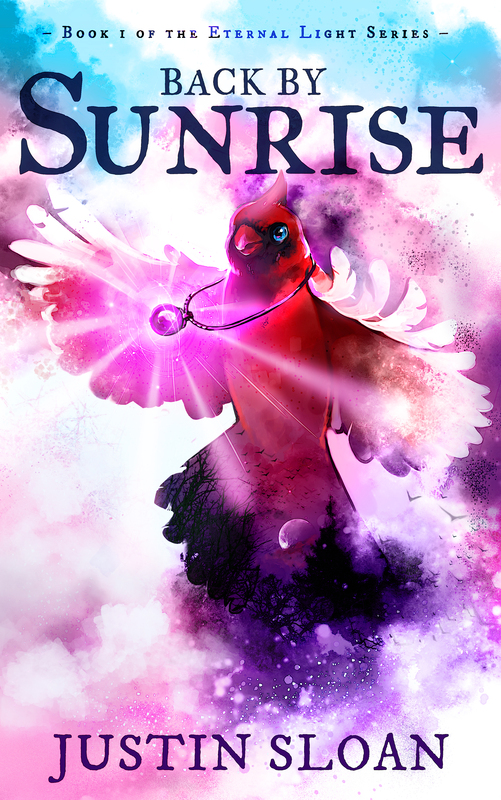 Back by Sunrise has been a passion project of mine for some time. The book started as a screenplay, which won a couple of contests and placed well in such contests as The Austin Film Festival’s contest. When I adapted it into a novel, it finally gained exposure to be optioned, and is currently under option (though reach out to me if interested, in case this posting is out of date). More books in the Eternal Light series will follow shortly, so stay tuned! Want a free copy? Join my author mailing list. Winner of the 2015 Children’s Book award (age 10-12) from BooksChoice4U!